On April 16th, the FDA announced that counterfeit Botox was sold by an unlicensed supplier who is not authorized to ship or distribute drug products in the United States. The FDA is cracking down on Aesthetic medicine more than ever. Their focus used to be pain management and oxycotin pill mills. Now the focus is on aesthetics realizing how much illegal importation is occurring. In this video, Dr. Mejia is asked how to treat hemangioma, the little red spots on your skin. They mostly are benign and are treated with laser. As he says in the video, his number one priority is always medical issues. His philosophy is that you are beautiful just the way you are if it is something you don’t need. We offer cosmetic treatments, but only if you want it to feel better. So stay healthy & beautiful everyone! 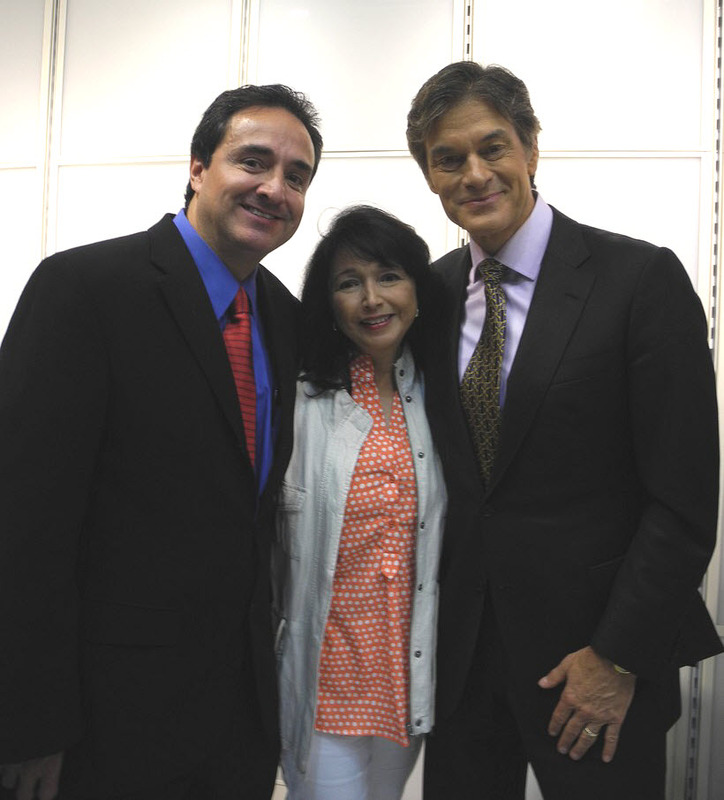 We were honored for another year to be a part of the WPBF25 News Health and Wellness Festival in which Dr. Mejia was on stage speaking on Anti-Aging. Ashley Hess, our Physician Assistant also spoke on preventing skin cancer. Dr. Mejia took many questions from the audience ranging from acne, spider veins, hemangioma treatment, hair loss and much more. Also, this year I was excited to be on stage with Senta Evans, our Cosmetic and Hair Coordinator to introduce Dr. Mejia and Ashley. Throughout the day, many people visited our booth to ask questions, spin the Wheel of Beauty and receive sunblock samples by our whole staff. We have lots of video and media here on this recap, so I hope you enjoy! Dr. Mejia’s top tip: Sunscreen is the best thing for anti-aging! 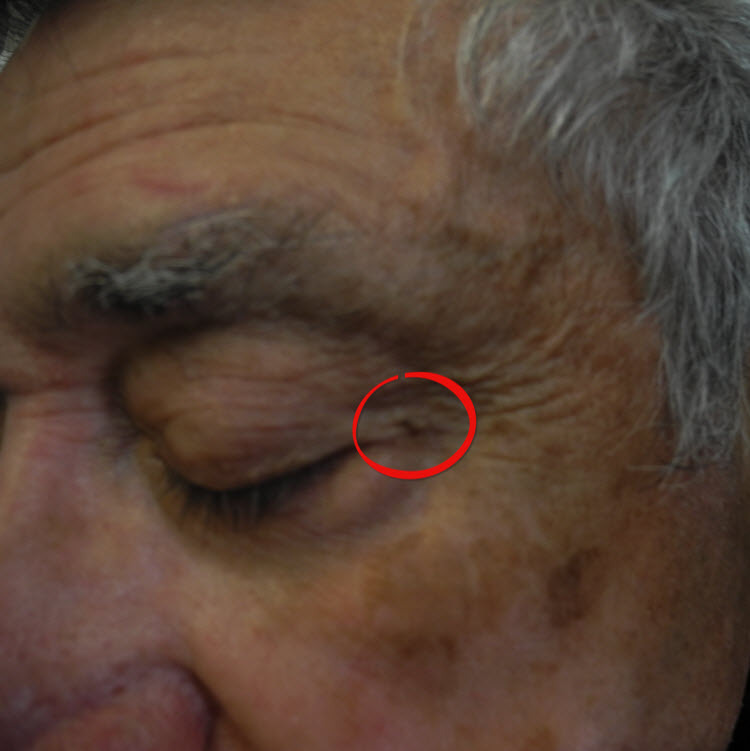 Many patients come in to the office to remove skin tags. It is as simple procedure by doing a snip excision. In this demonstration Dr. Mejia performs a skin tag removal on the face, although many people have them under their arms or groin area. Skin tags are different from moles which can be cancerous and are simply fleshy growths on the skin. They do not need to be removed, but in some cases, if a patient has many, it may cause irritation in the skin. In another post, Dr. Mejia explains the difference between skin tags and moles. Please note that this video is for educational purposes. Please consult your dermatologist for any skin tag removal. Our patient Renee M was at our office when we did a demonstration of the IPL Treatment and kindly did a nice review of our office and Dr. Ricardo Mejia. She has had various skin cancer treatments. We are so happy that her condition has improved significantly. If you are looking for a Jupiter dermatologist, we can answer any questions you have prior to your appointment. Simply fill out the contact form and our office manager will contact you within 24 hours. 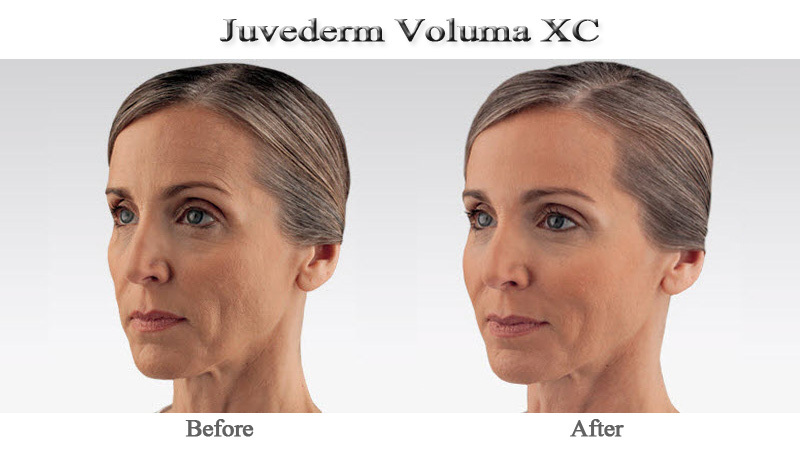 [vc_row][vc_column width=”1/1″][vc_column_text]Juvederm Voluma XC is a modified form of hyaluronic acid that is naturally in your body. It is an injectable targeted to the cheek area to enhance the areas of volume loss due to aging. Hyaluronic Acid (HA) is a substance that is common in many tissues of the body such as skin and cartilage. It keeps skin moisturized and soft. Voluma is a game changer when it comes to aesthetics. Instead of looking at your head on to do a consultation, Voluma is more of a three dimensional approach where the doctor looks at the volume loss in the cheeks. Many patients complain about the nasal labial fold and the marionette lines(near the lips) as to what is bothering them, but it is really the volume loss in the cheeks that is causing the issue. In this video, Dr. Mejia demonstrates the procedure on a patient when we had an open house at the office. Topical numbing was placed on the area prior to the injection. Juvederm Voluma XC also contains a small quantity of local anesthetic. It is the only hyaluronic acid that has a two year indication by the FDA. It is the #1 filler in the world and it is the fastest growing aesthetic product in the history of aesthetics. You can see a 32% reduction in nasal labial folds. You can have a 56% reduction in tear trough(below the eyes) just by getting the volume in the cheeks. A friend of Dr Mejia’s in Dallas shares her melanoma story. Her daughter was brushing her hair one day and found a spot in her scalp thinking it was hair dye. Her mother had her take a picture of it and went to the dermatologist the next day who immediately did a biopsy and was then diagnosed with melanoma. Dr Mejia urges everyone to know the ABCD’s of melanoma symptoms so you are educated ahead of time in case of an unforseeable situation just like what happened to Lynn. Her hairdresser had seen that spot for five years and didn’t think it was anything abnormal. 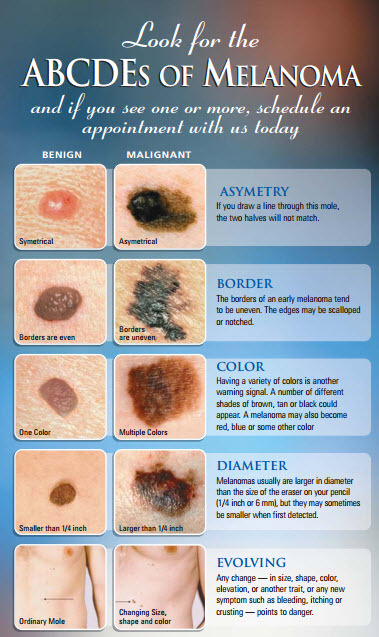 In this video, Dr. Mejia explains the symptoms of melanoma and the brochure above gives you a good visual so you know how to spot. TNS Recovery Complex is human growth factors or protein. Humans have growth factors when we are born and as we age, we lose them. They take a greater amount of time to heal. 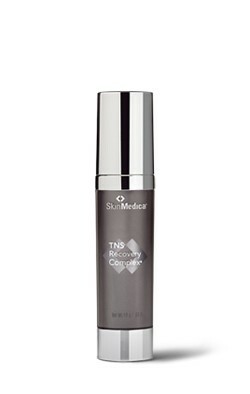 TNS Recovery Complex allows growth factors to produce more collagen which allows to lift, firm, tighten, and help to consistently plump new skin. It is typically used for the face, neck, and chest. Mainly used as an anti aging product but is also a must have after a laser or peal procedure because it helps greatly with the healing process. After one month of using this product, the texture in skin will improve as well as noticeable reduction in fine lines and deep lines of the skin. After three months a sixty percent growth of collagen in the “grin zone” area of the face occurs. Clients mention that this product holds moisture and hydrates the skin the best. Solar Keratosis also known as Actinic Keratosis are precancerous cells that have a possibility of developing into Squamous Carcinoma. It is important to keep an eye on any symptoms and take care of these is because over time you are taking prevention from developing another skin caner. 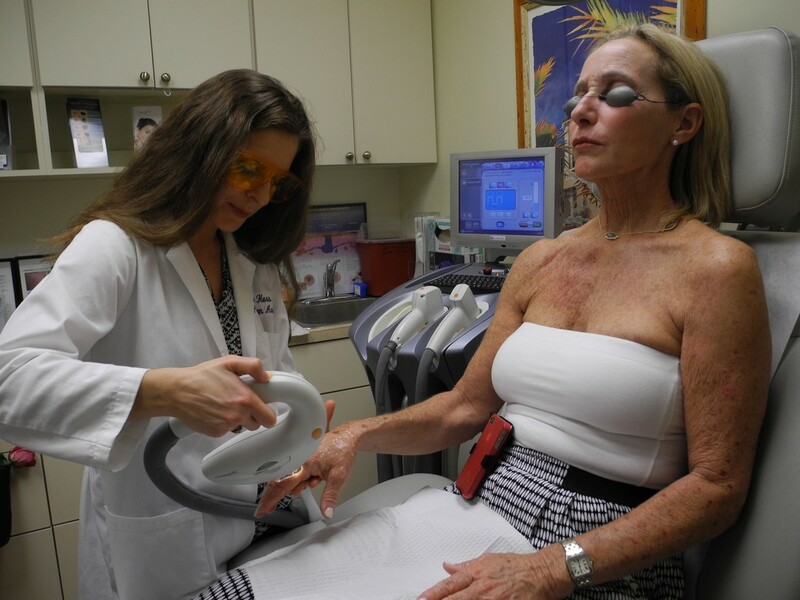 At Jupiter Dermatology we have a plethora of preventative therapy with various different treatments in an effort to reduce the amount of precancerous skin cells that exist on the face, arms, chest, back and other multiple areas they can be found. Dr. Mejia tells his patients to think of their skin as a car engine. Many people do treatment once and think it will be enough. However if you want to keep your car in good condition, you must check the oil often times throughout the year. The same applies to your skin, depending on your history and the procedures you have done. You and your dermatologist have to decide how many times it is necessary to check your skin. It may be only once a year or it may have to be four times a year, but it is in your best interest to have your skin as a top priority. To prevent the progression of Solar Keratosis into Squamous cell carcinoma, at Jupiter Dermatology we advocate preventative and aggressive treatments in order to reduce that risk so hopefully you do not need to have surgery in the future.